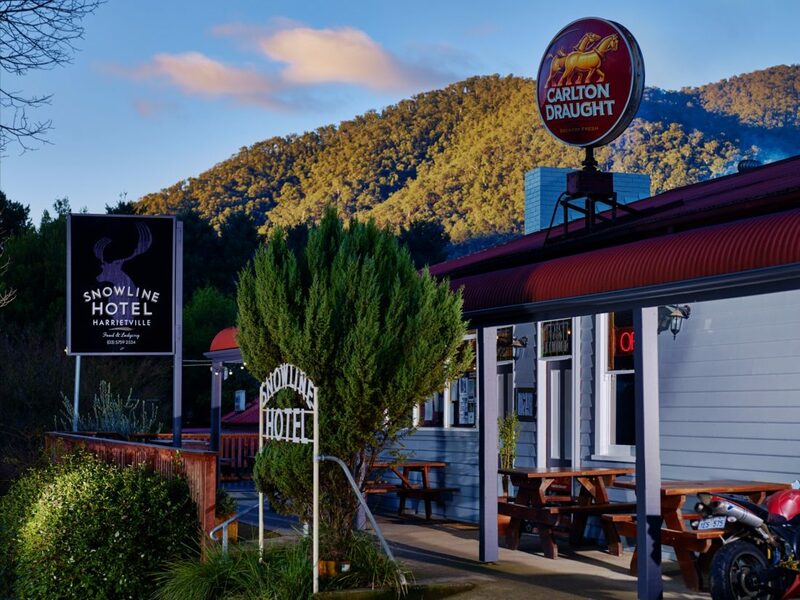 The Snowline Hotel is Harrietville’s original pub and has a fascinating history dating back to the gold rush days. 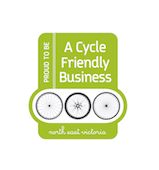 The Hotel is located in the picturesque mountain village of Harrietville, 15 minutes from Bright and only 40 minutes drive from the snow at Mount Hotham Ski Resort. A favourite amongst motorcyclists, dirt bikers, four-wheel drivers, bushwalkers, snow skiers and snowboarders. The Snowline Hotel has 16 ensuite units offering all the comfort and privacy you could want after a hard days at the snow or exploring the high country. If you have a group looking for a high country adventure, let the Snowline Hotel do all the hard work. They have plenty of experience taking care of all the details for a memorable holiday for your club, mates or extended family. If you have a group of 20 or more the Snowline Hotel has a range of additional services they can provide, please contact them for further details. Enjoy the charm and atmosphere of a traditional country hotel with the convenience of staying in one of the 16 ensuite units. The family bunk rooms have two double beds with two single bunks above them. Perfect for two couples, up to four singles or a couple and three kids. The room includes new Nobo heaters, LCD digital television, linen and towels provided, coffee and tea provisions, mini bar fridge and parking. The hotel provides wireless internet and they bike hire is available. The queen ensuite rooms have a queen-sized bed, a single bed and a roll out single bed. Perfect for a couple, up to three singles or a couple and two kids. The room includes new Nobo heaters, LCD digital television, ensuite bathroom, linen and towels provided, coffee and tea provisions, mini bar fridge and parking.